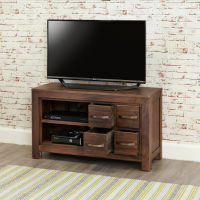 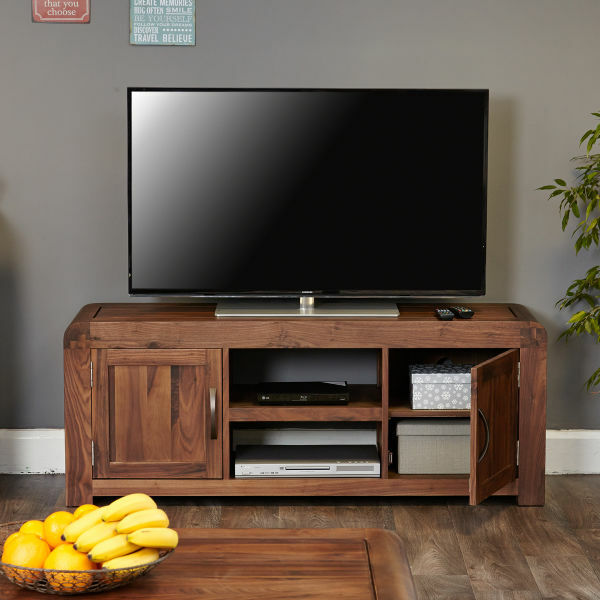 The Mayan Walnut four drawer television cabinet is designed to hold a TV up to 72”. 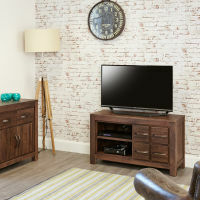 There is a fixed open shelf on the left, designed to hold digital devices and 4 DVD drawers on the right. 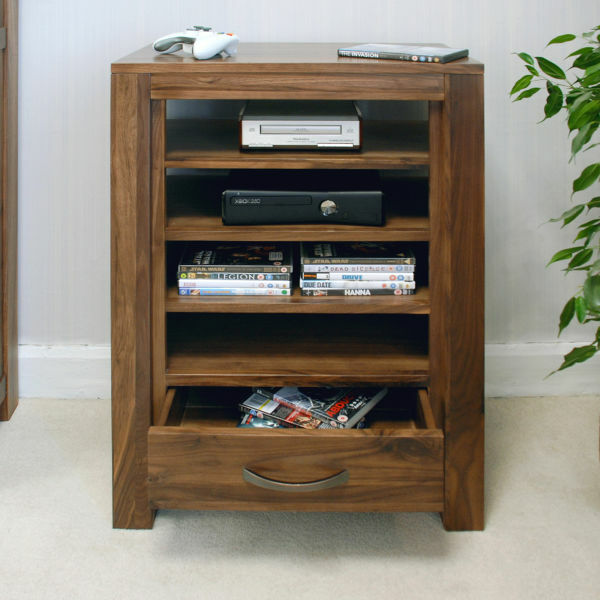 Plus, there are handy holes at the back of each shelf to hide away unsightly cables. 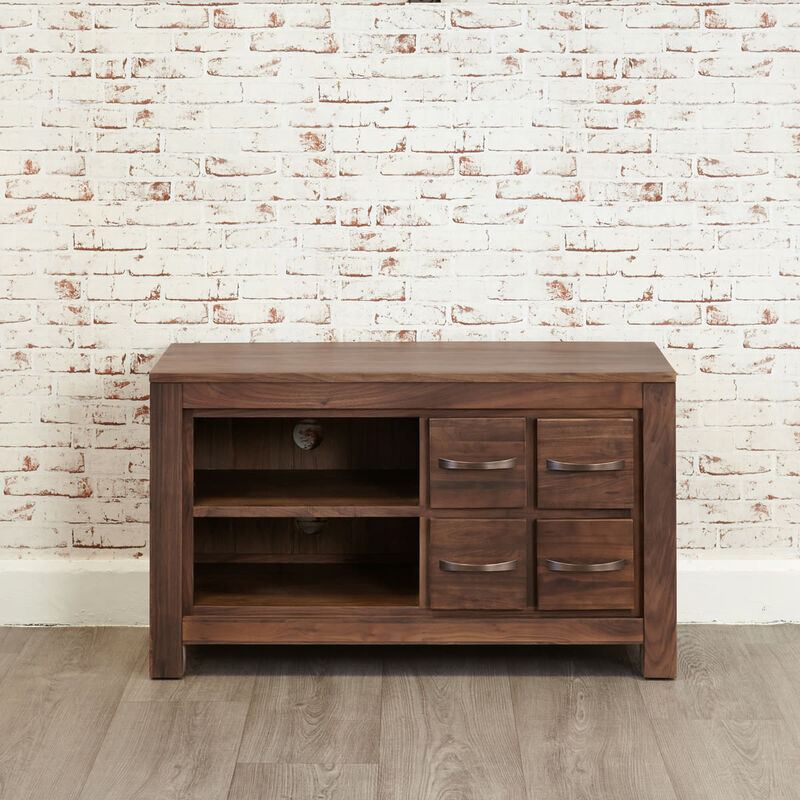 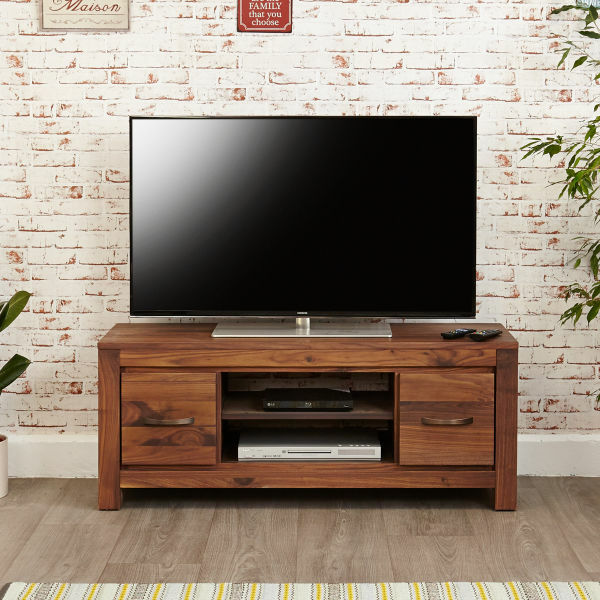 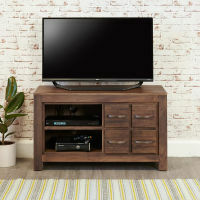 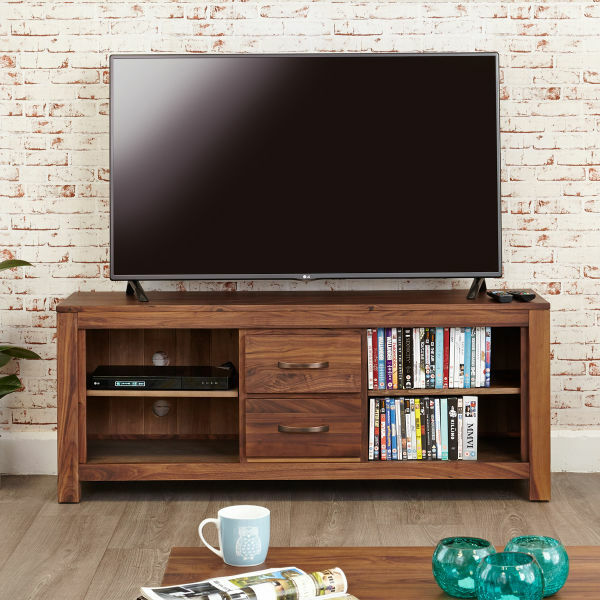 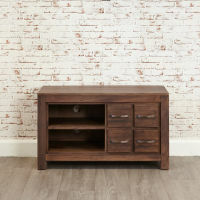 The television cabinet is built to last from high quality solid walnut which has a dense grain, making it the perfect choice for stunning and unique pieces of furniture. 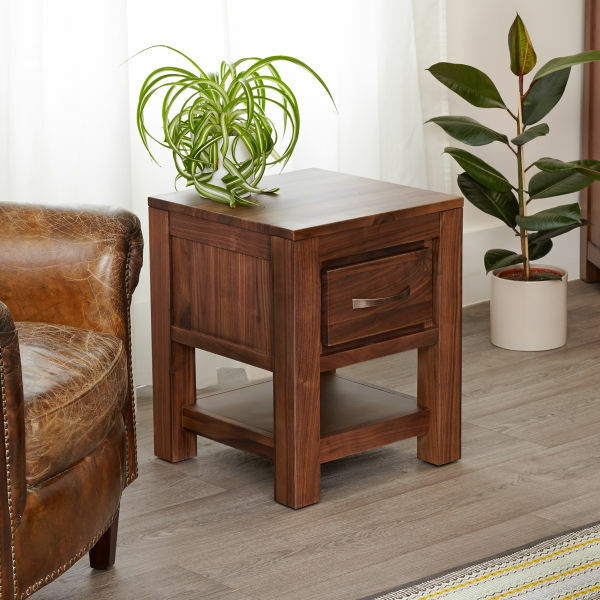 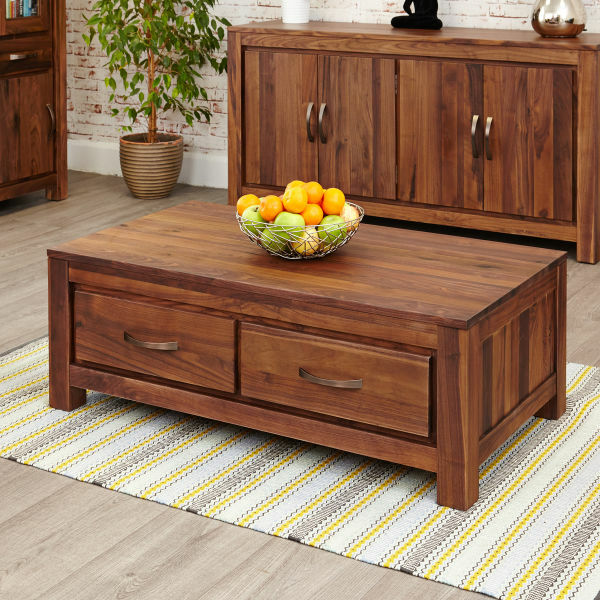 The Mayan Walnut living room range includes matching coffee tables and lamp tables.